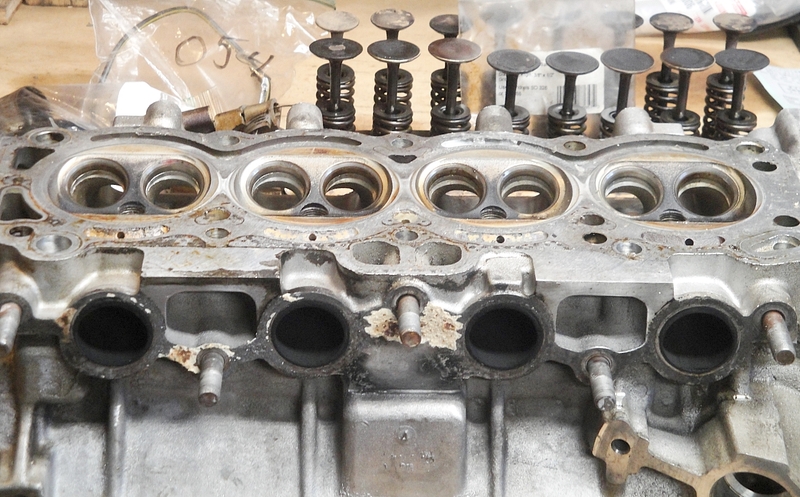 So my client disassembles his engine to get me his current head... and it too has seen a hand inside it. On this one it wasn't "fatal"..... the roof of the port has seen some "work"... along with a lot of "smoothing" inside the exhaust port. This type of work (tapering port roof) I try to reserve for ITB equipped heads to try and and match the angle of the ITB adapter. 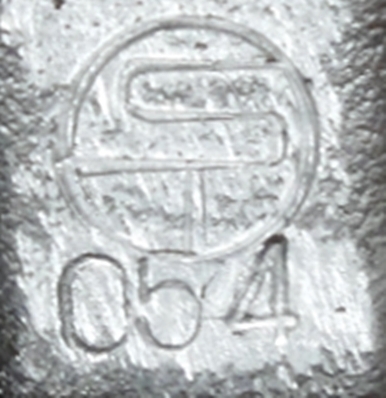 In this case some care was used by the previous "porter" so that this head could be re-used. 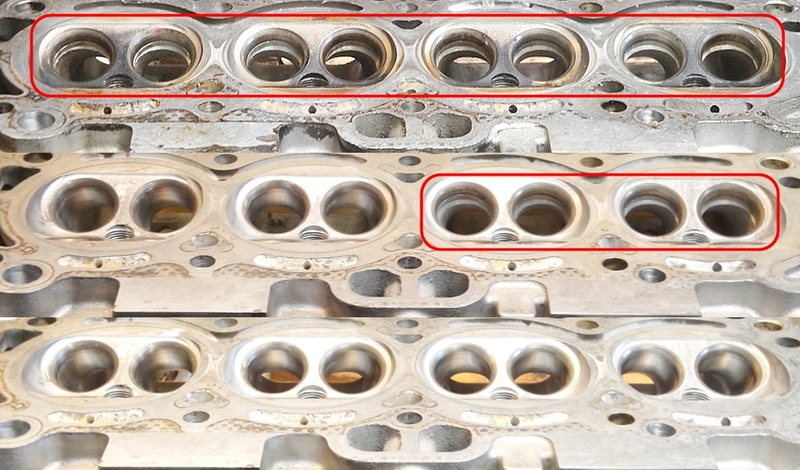 from another forum wrote: what should the head size be if it hasn't been machined before? 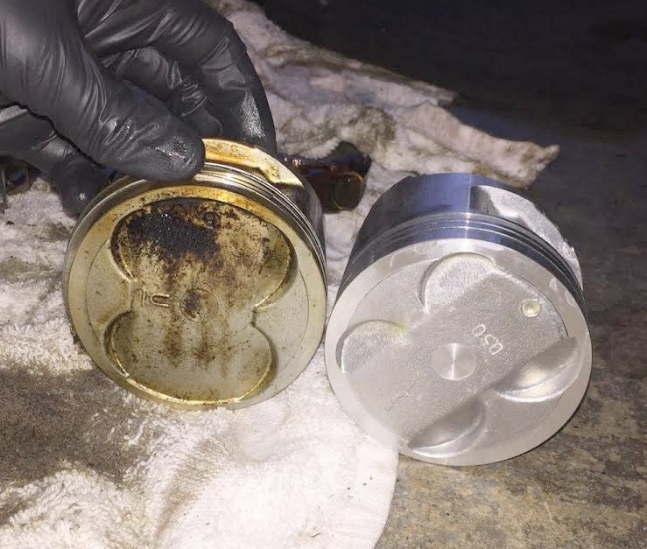 Oh... as the title states... this is a 3 rib, and my client manage to find a set of high comp TVIS pistons 13103-16030, the same pistons I used in OST-050. 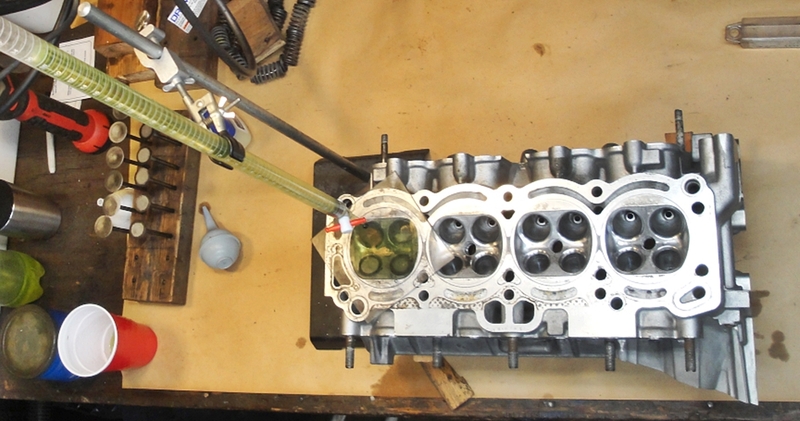 His short block is being built at a local machine shop - with my technical assistance. from another forum wrote: Short turns look beautiful. 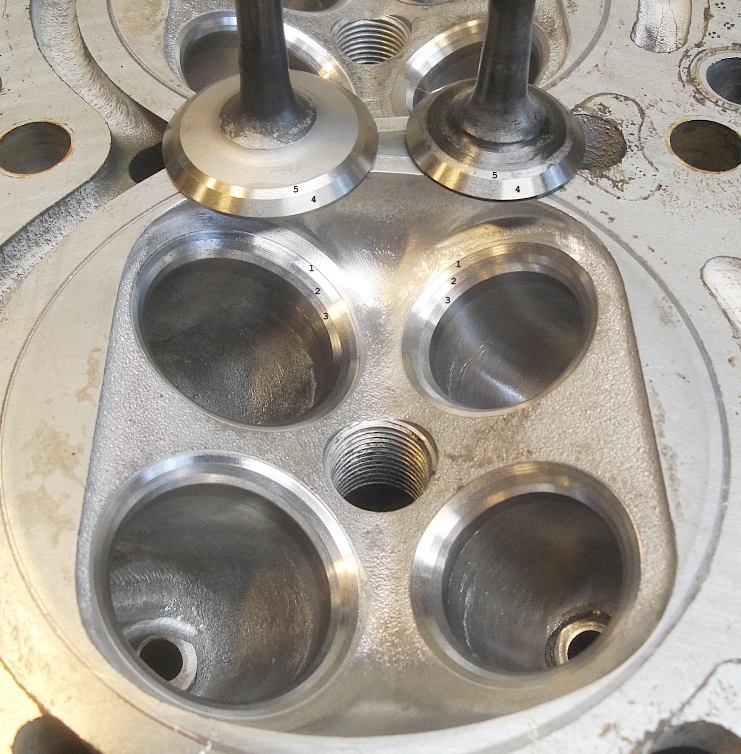 Now it is back @ the machine shop about to get .016" taken off to set the chamber volumes @ 35cc. 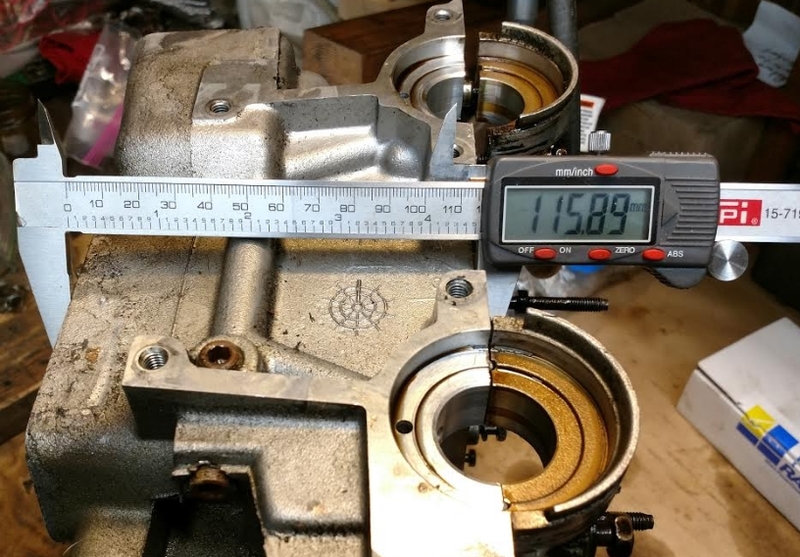 A 35cc chamber, along with the proper squish should net my client a static compression ratio of about 11.0:1. 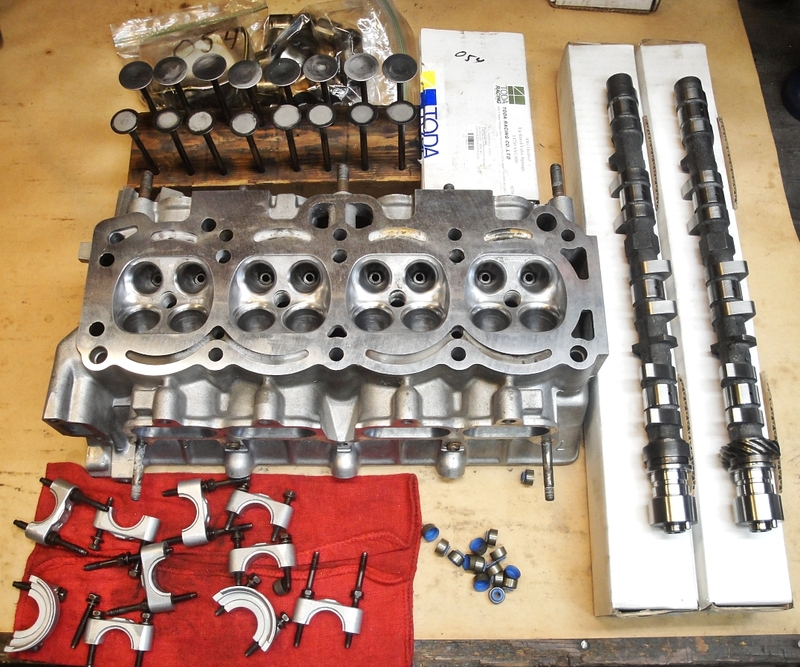 Chambers down to 35cc, ready for re-assembly. Cams are Cat cams 252/222 8.5mm lift. 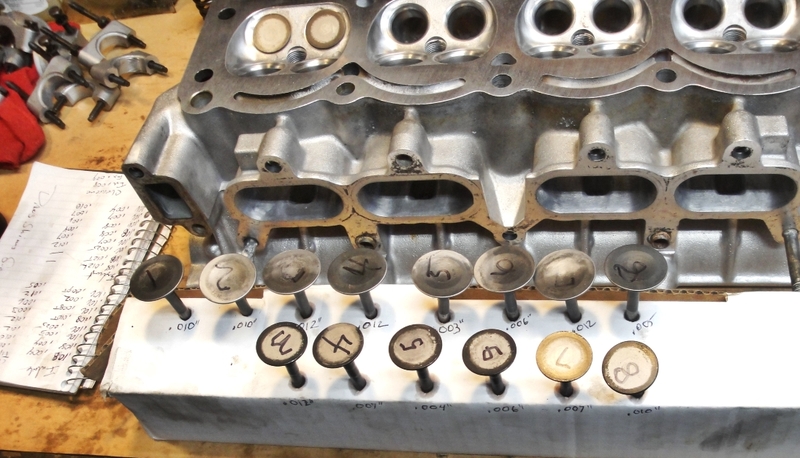 14 of the 16 valves came in too tight for my shim bank (.001" variance from .110"-.125"), so I brought them back to the machine shop to get tipped (shortened) so they would be in my shim banks shim range. 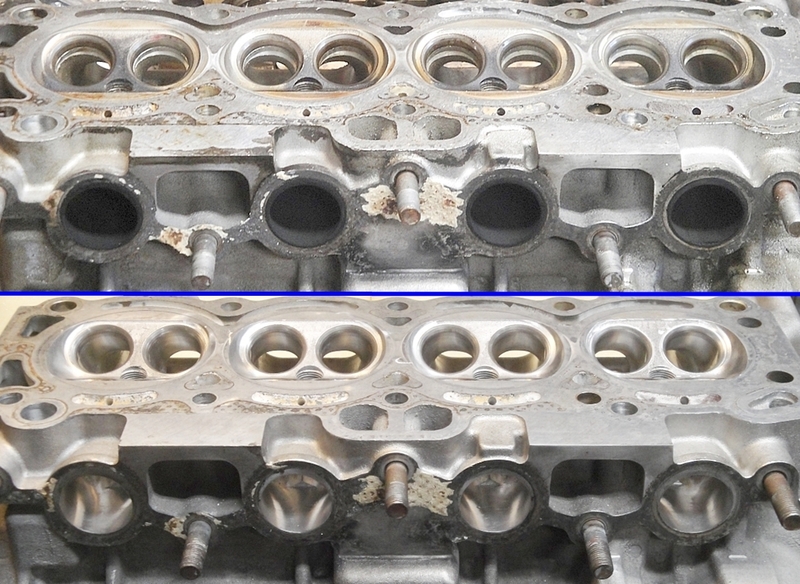 As you can see the valves got tipped by different amounts, from as little as .003", to a "big" .012". 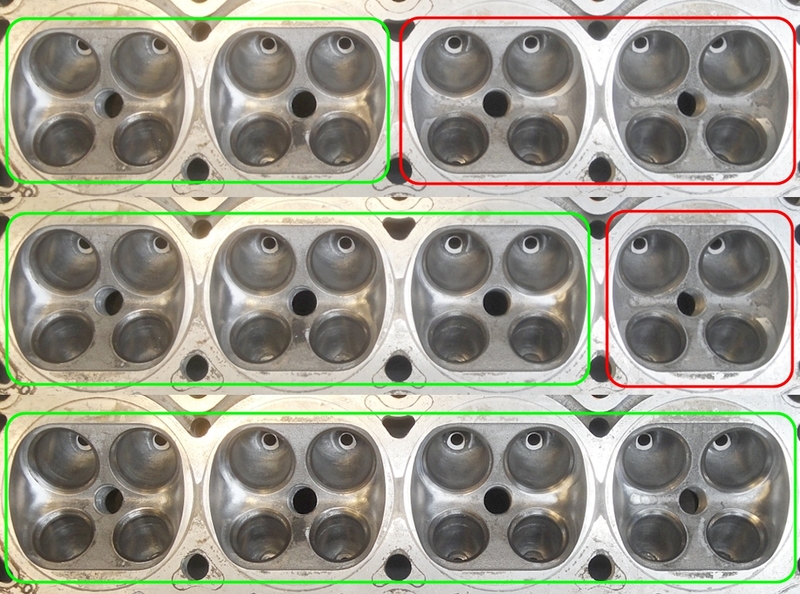 Final assembly will have all the intake valves with a clearance of .008"(0.203mm), and all the exhausts clearances at .009"(0.228mm). If tipping was the only thing I needed, something along those lines would work... but I've been thinking it might be time for my next equipment upgrade. My last significant change was switching from Dremels (yes plural - I used up about 6) to the Foredom 1/6hp SP hanging motor, and hand tools. I been thinking it might be time for my own valve grinding machine. This would allow me to do some experiments on valve back cut angles, along with precisely tipping the valves. Now, a new kwik way will run me about $7000. I might find a good used one for about $4000-$5000. The keys are the stones, and the chuck - the chuck needs to be accurate to .0005"